The Find Your Flourish™ Declaration! Join me in France September 2015! FIND YOUR FLOURISH WOMEN'S FRANCE RETREAT! THIS RETREAT IS NOW SOLD OUT LOVELIES! BUT BE SURE TO GET ON THE LIST AT THE BOTTOM OF THE PAGE FOR DETAILS FOR NEXT YEAR'S! Contact ME HERE to set up a phone interview! Registration Deadline is August 16th, 2015! Turn Your Inner Worrier into an Inner Warrior. Move through your fears and blocks to keeping you from Finding Your Flourish and living out your dreams! The South of France is an enlivening experience for all the senses and the perfect environment for a wholly nourishing retreat! Our intention is to re-connect mind and body so our spirits can soar. relish healthy (and delicious!) meals by renowned French Chef Magali Escapin. Click here for more info on Magali's magic! experience the powerful healing of Reiki with Heidi Hoffman, MPH, RD, guest practitioner. Read more about Heidi here! 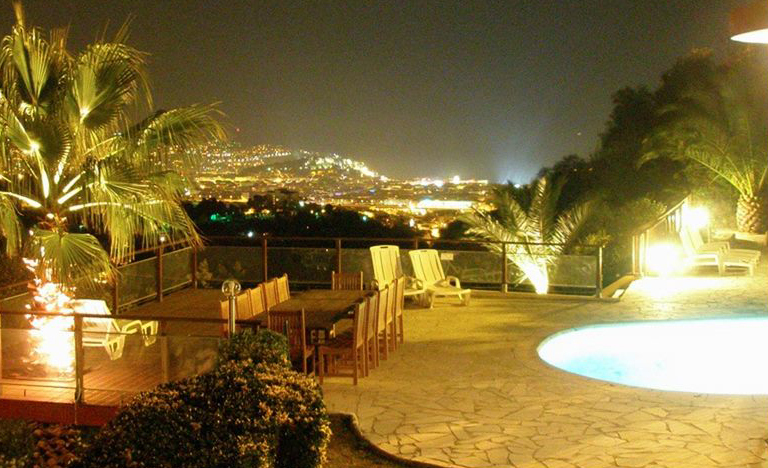 Join me in Nice in a beautiful villa with a heated pool and spa with spectacular views of the French Riviera. Interviewing women now for this September 2015 exclusive retreat. Rates Ranging from $2800-$3500-- see below for more details. Is it worth it for me to take the time out to do this? Have you taken a break or gone on a trip before? What was that like? What was different after you returned from the trip? How had you grown or changed? If this would be your first real break, then what would be possible after returning from this trip? What could change? Think about everything you do in one week now. Does it feel possible to step away from that in order to return refreshed and rejuvenated? Rates range from $2800-$3500. Costs include room and board. Rates are based on double occupancy. Interested in a private room? Private rooms are limited and based on availability. Contact me HERE for more details. Do you think it selfish to be your best self? I believe being your best self greatly benefits everyone you love. To rise into our best selves, we need time to rejuvenate, to love and care for ourselves, and to truly nourish ourselves and our souls in a way that you can’t always do in your day-to-day. Sometimes our daily lives are packed too full of responsibilities that are difficult to escape. To me, retreats are opportunities for you to really relish in and build that relationship with yourself. We’re usually so focused on building relationships with others that we lose that essential connection to our authentic core – what truly matters to us and what we want to manifest in our lives. When we’re in touch with that core, we can really show up in the world in the way that we feel good about and that others can feel really good about. How do I talk to my spouse about this? Going on the international retreat of your dreams is a significant investment on all fronts, and understandably you may be a little timid about asking your partner about it. Most likely, you’ll both be concerned about taking care of the kids, and how much this is going to cost. Here are a few ideas for how to prepare for the chat. Pick a low-stress time and place: I recommend that you schedule a time to talk with you spouse one-on-one, perhaps over a date night. If this retreat means a lot to you, it might not be the best conversation to have while watching TV, getting dinner ready, or if you’re both about to fall asleep. Talking about shifting childcare responsibilities while you’re gone: Who and how will kids be cared for is important. If you’re the main caregiver, planning for a solo trip will definitely push your boundaries. Going on the retreat could also be an opportunity for you to call on your support system and practice asking for and receiving help. Many of us are so uncomfortable asking for help, uncomfortable with the idea that we don’t have to “do it all”. Is it possible that you provide so much care for people in your circle, that your friends and family would be happy to return the favor? If it feels like you can’t afford it, is it possible that you can afford it and if you didn’t go on this retreat that it would be spent on something else? Is there a way to adjust both your spending habits to make this more comfortable? The Bottom Line: Your dreams and desire matter. When you feel happy and healthy and at your best everyone benefits. A trip to France like this can rejuvenate your soul and help you take care of your everyday life better than if you never took anytime for yourself. I believe in this whole-heartedly. I’m nervous about leaving my kids/pets for a week. It’s totally natural (biological, even!) to worry about leaving your kids. It’s completely normal to feel stress about leaving your pets. I don’t speak French, and I’m nervous! Unless you choose to spend more solo time out in the town, the only time you’d be on your own is traveling to and from the airport. Luckily, most people in the South of France speak at least some English AND the Villa is only a 15-minute drive away from the airport. If you print out our address, or have it on your phone, you can just show it to a taxi driver at the airport and be shuttled to the villa without having to worry about speaking a lick of French! Before the trip, you’ll also be connected to the other retreaters through our shared Facebook group. You can coordinate arrival and departure times and plan to travel to and from the airport together! I haven’t done yoga; will I be able to keep up? You need NO prior experience with yoga, and can do this type of yoga no matter your current levels of fitness. We will mostly be practicing Kundalini yoga, a style that is appropriate for beginners and advanced yogis alike. Isn’t this too expensive for me to do? It’s hard to put a price tag on investing in yourself. You are the only one who can determine if you can allocate the funds in your budget for this retreat. If investing in yourself it’s not something you do easily, then it might help to remember: you are worthy and deserving of your dreams. Having fear and anxiety around spending money is a common issue for most of us, whether the funds are readily available or not. If you find yourself struggling with spending money on yourself in general, then I would really encourage you to look into doing a few coaching sessions around your beliefs about money. It can be really powerful to release your particular blocks about money, and adjust your beliefs to allow for a more abundant and prosperous mind-set to flourish in your life. You are truly worthy and deserving of investing in yourself. My hope for you is that you feel empowered by money, and have the ability to invest in your growth and development as a human being when and where you see fit. What other ways can you get creative, save, and make the space in your budget for you? The ways are limitless. One of my favorites is giving up my latte, and making a great cup of java that I love at home. What can you do? Check if your credit cards have reward programs you are not using. Can you use miles to pay for your plane ticket, or a portion of it? Can a portion of your tax return be used to help you take a break and invest in your future? Coming and joining us is a commitment and a decision. You may transfer your registration to another person, but there are no refunds. If you have any questions, please contact me. I want you to have the opportunity to be part of this trip! How are your current stressors affecting your life right now? What’s is it going to be like in your future if you don’t take a break and retreat now? How serious are you about making a positive shift in your life, and taking time for self-care? Let's connect about what’s may be keeping you from being bold and taking the most amazing recharging vacation of your life? Even if we talked before, if you are on the fence I’m available to help you make a decision. If you’re serious about transformation and self-care I can help. This retreat can help. I care about you, and want you to be your best self now. (Not some time in the future, but right now!) Let’s set up a time to talk more specifically by phone about the How. Ready to join me in France? I’M HERE TO HELP. SEND ME A QUICK NOTE HERE or use the Registration button below, TO SCHEDULE A CHAT SPECIFICALLY ABOUT THE "HOW" BEFORE THOSE last SPOTS FILL UP. I hope you connect with me! Let's Go to France Together!! Just contact me here to schedule an interview. I’M STILL ACCEPTING APPLICATIONS FOR THE LAST FEW SPOTS! Sign up with your email address to receive answers and all the inside news as I roll this out!